In which the Doctor and Sarah encounter the Mandragora Helix, but sadly not Patrick McGoohan. Spoilers below. One of the things I love about classic Doctor Who is the way it rips off the classics without ever actually saying it’s ripping off the classics. 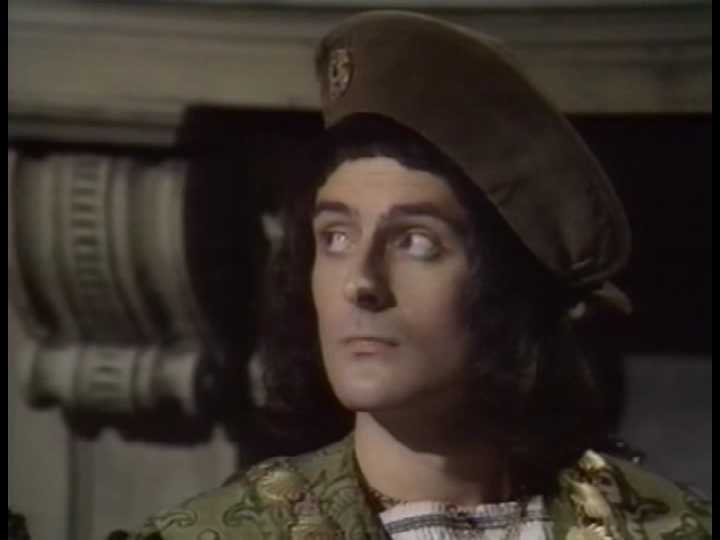 ‘The Brain of Morbius’ is an obvious example: it’s Frankenstein, and all the trademarks are there, but they never really talk about it on camera. The viewer is allowed to draw their own conclusions. The same may be said of ‘Planet of Evil’, which has obvious Jekyll / Hyde parallels that are never overtly dealt with or even mentioned. There’s a quiet sense of self-assurance about this, as if they weren’t afraid to dip in and out of great stories, and didn’t feel the need to point it out or justify themselves. Donna: Yeah but think about it. There’s a murder, a mystery, and Agatha Christie. The Doctor: So? Happens to me all the time. Donna: No, but isn’t that a bit weird? Agatha Christie didn’t walk around surrounded by murders, not really. I mean that’s like meeting Charles Dickens, and he’s surrounded by ghosts, at Christmas. Donna: Oh come on! It’s not like we could drive across country and find Enid Blyton having tea with Noddy. Could we? Noddy’s not real. Is he? Tell me there’s no Noddy! The Doctor: [leans in close to her] There’s no Noddy. You see what I mean. It’s a decent episode, and the Noddy gag (primarily thanks to Tennant’s delivery) is one of the highlights, but the whole scene jars. It’s the sort of self-conscious idiocy that is paramount these days, where the fourth wall is not so much broken as made momentarily transparent, in one of those shimmering, flickering effects. Followed by a few comments in a Confidential, and a paragraph of blurb in the ‘making of’ pages on the BBC website. Back to Baker. 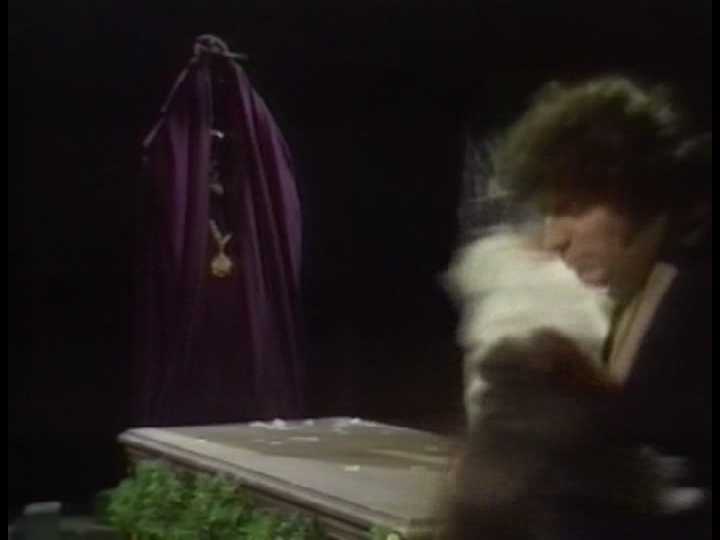 ‘The Masque of Mandragora’ is Hamlet. With aliens. 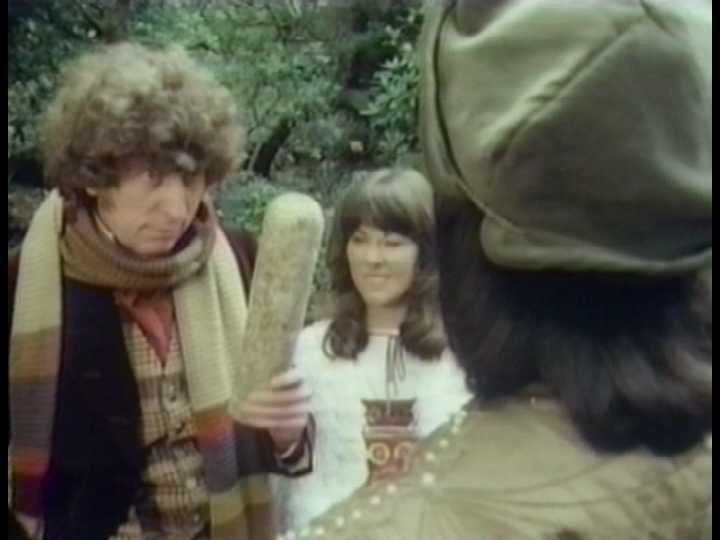 It’s not much of a spoiler to note that come the end of the story, the Doctor has acquired an enormous salami. 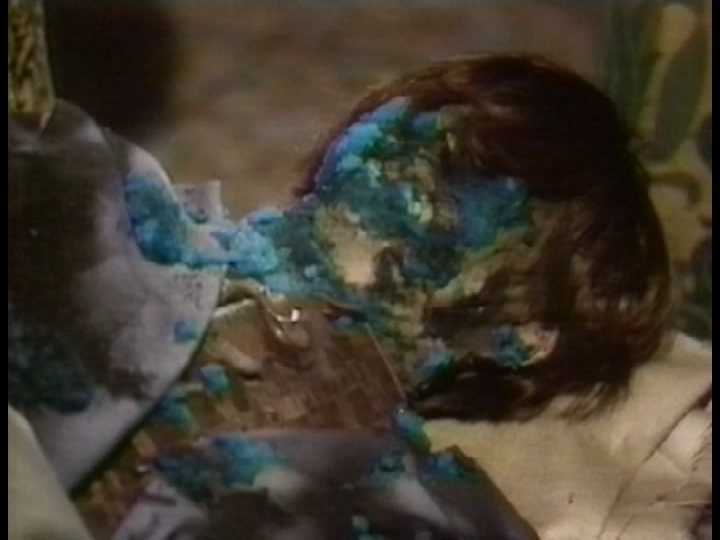 I know for a fact that Tom Baker's not a vegetarian. Don't ask me how I know. It's a boring story. The story opens with Sarah and the Doctor exploring the TARDIS’s secondary control room (including a lovely moment where Sarah picks up Troughton’s recorder). After a gratuitous blue screen interlude, and a ‘psychic attack’ – psychic attacks are easy to do, you just have the afflicted characters put their hands to their heads, shut their eyes and grimace in agony, and then zoom in and out repeatedly – the narrative begins proper when the two travellers land in fifteenth century Italy, which looks suspiciously like Portmerion (known, of course, as the principal shooting location for The Prisoner). It all looks very pretty, but the peasants are revolting. Literally. Fortunately, the local military man, the violent Count Federico, is on hand with his iron fist and bad temper. We don’t get to see that much of him, of course, before the first spooky sci-fi thing happens, resulting in a mutilated corpse. All things considered, the Blue Man gig could've gone better. Besides the no-it’s-not-the-plague death, Federico has another reason to be grumpy: his brother’s the local Duke, and he’s not. Thankfully, the Duke is just about to suffer an untimely death, which was spookily predicted by Hieronymous, an astrologer who is revealed to be in league with Federico. Having disposed of his brother, Federico plans to seize the throne from its rightful heir, his nephew Giuliano. Is all this starting to sound familiar yet? Giuliano is a self-assured, likeable hero – one whom you dearly hope will make it to the end of episode four. Open-minded to a fault, he welcomes the Doctor and the scientific field of enquiry that he represents, but he’s grounded and harbours no delusions about the danger he is in. He clearly has an unreciprocated crush on Sarah (along with most of the TV-watching public, I’d suspect), but he never allows that to get in the way of the work he has to do. 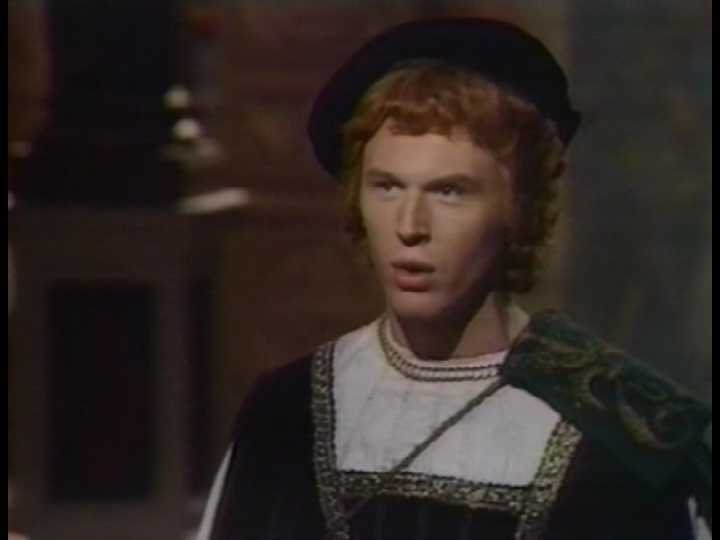 Giuliano is assisted in his endeavours by Marco (Tim Pigott-Smith, looking here like the lovechild of Phil Davis and Chris Evans). Giuliani. Something very wistful about that faraway look. Marco. You see what I mean. It’s nice to have a supporting character to root for, but as is customary, it’s the villains who are the most fun. Foremost amongst these is Hieronymous, who assumes the mantle of principal antagonist once he’s possessed by the invading Helix. 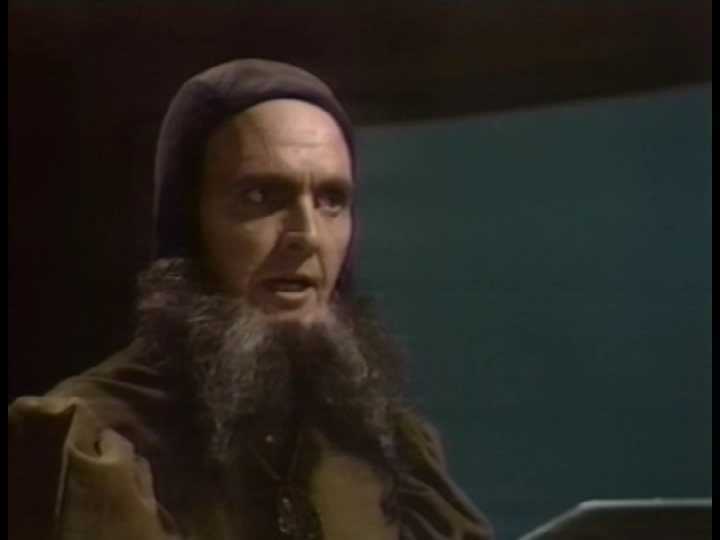 He also has the most incredible beard in the history of the Fourth Doctor (and no, ‘The Leisure Hive’ doesn’t count). Oh, facial hair of loveliness. Federico: Inept clod. What were my orders? Rossini: We have searched everywhere. Federico: Get out. [He kicks the servant.] I warn you, Rossini, fail me and you will breakfast on burning coals. Rossini: Sire, we can only think that he has taken to the catacombs. Rossini: A thousand men might search those galleries for a month, sire, and still find nothing. They say there are places where the bat droppings are twice the height of a man. Federico: They say. They say! The truth of the matter, Rossini, is that you have no stomach for the task. Rossini: If it is your wish, sire, I will take the entire guard down there and begin the search immediately. Federico: No. No, it is true. If he’s gone down into the warren, he’ll be harder to find than a flea in a beggar’s robes. But he must come out or die like a sewer rat. Rossini: And when he does, we must be ready for him. 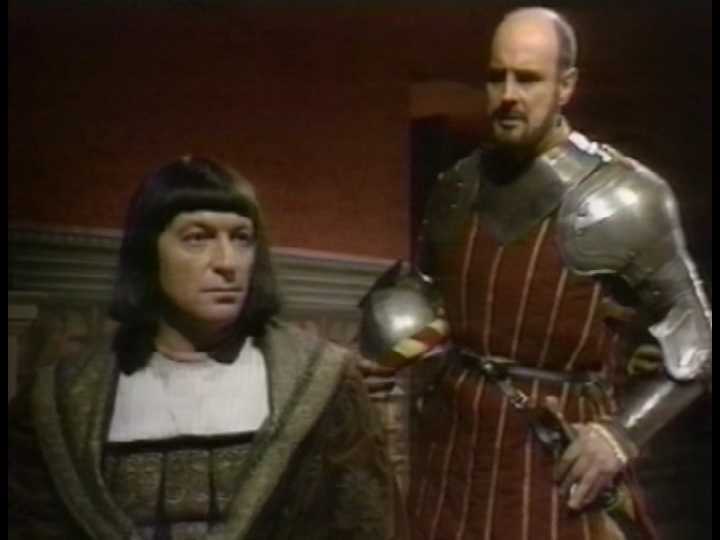 Federico: Of course you will, dung head. They just don’t write Who like this anymore. They really should. Federico, flanked by his flunky. Having rescued his best friend from the jaws of the eternal blank-eyed stare, the Doctor sets about putting things right. It’s not the first time he’s had to rescue Sarah; there is an earlier, mildly ludicrous scene in which he sneaks up to a sacrificial altar and grabs her just before the knife goes in, and NOT ONE OF THE MONKS IN THE CHAMBER NOTICES HE’S THERE. I’m all for suspension of disbelief, but seriously. It’s beyond stupid. I don’t care how deep your meditative trances go, you’d notice a six foot two man with wild hair and an enormous scarf. Particularly if he looked like Tom Baker, which the Fourth Doctor does. It is superseded in recent silliness only by the rescue sequence from ‘The Brain of Morbius’, which I have mentioned before. 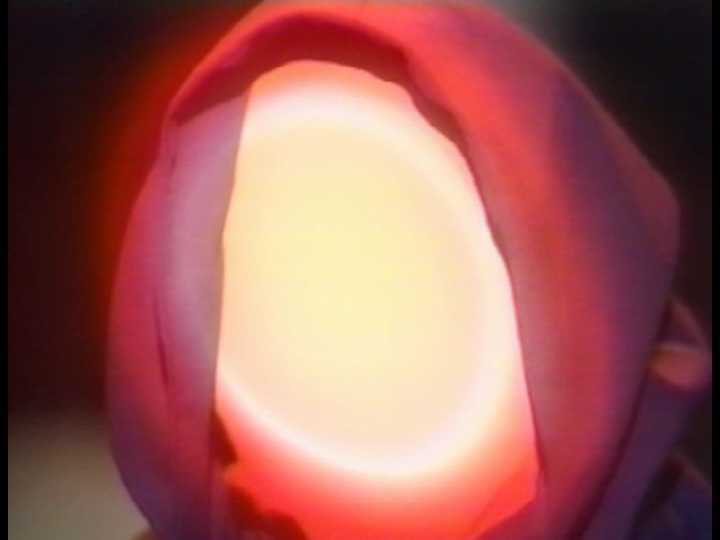 The monks are part of the Brotherhood of Demnos, a robe-wearing cult who absorb the power of the Helix, thus gaining the ability to shoot force lightning. Mostly off-camera. (Which is fair enough; they had no money, and there’s a nice big lot of it come the finale.) 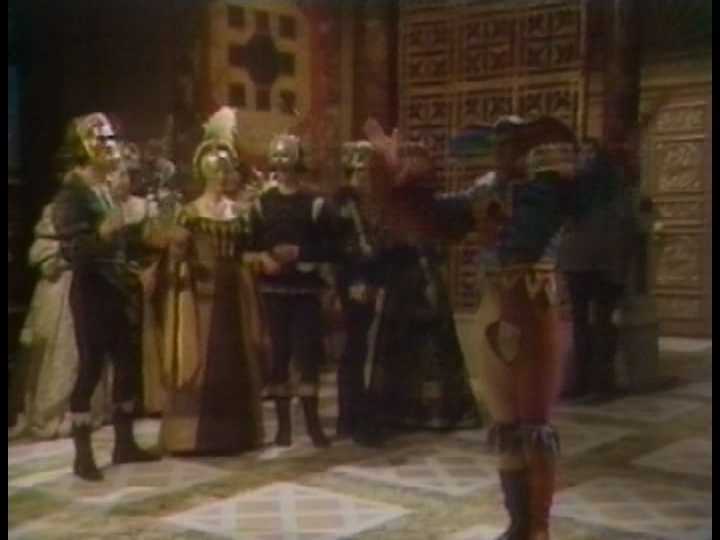 There’s double-dealing and double-crossing in the palace, various scenes in a dungeon, and the eponymous masque, which Giuliani debates cancelling, only to have the Doctor insist that it goes ahead – “Save me a costume; I love a knees-up!”. Meanwhile, down in the cave, Hieronymous quite literally loses face. I'm Bobbin. Are you my mother? It doesn’t all work. The ending is mildly confusing and slightly anti-climactic – it’s all over very quickly, with a quick denouement and no particularly concrete explanation, largely because most of the Doctor’s exposition takes the form of barely-heard mutterings to himself. The twist was effective, but the science behind it was initially impenetrable. Emily and I had no idea what was going on. I had to look it up. Perhaps we’re just thick. To save me having to try and explain it now, here’s a distracting picture of Stuart Fell dancing. Apparently, Stuart Fell has a coat he borrowed from James Dean. Despite structural flaws, it’s a fun, light-hearted story with a refreshingly low body count – one that can be watched in an evening and leave you wanting more. Good triumphs with minimal fuss, and the wicked are appropriately punished. Sladen doesn’t have much to do except sit around and wait to be rescued, but Baker is clearly having fun leaping on and off horses, laughing at the quaintness of fifteenth century astrophysics and wandering round Portmerion. And waving his sausage about, of course.